(TibetanReview.net, May24, 2018) – China said May 23 that a total of 1.45 million tourists had visited the Potala, the historical winter residence of successive Dalai Lamas and the secretariat of the Tibetan government until 1959, during last year. The palace suffered structural damages during China’s bombardments in the 1959 takeover of Tibet and only a limited number of visitors could be let in each day. 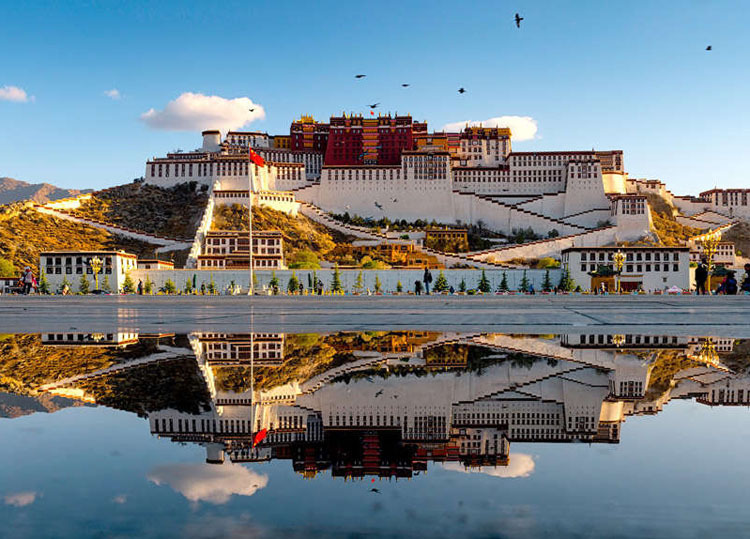 Nevertheless, the number of visitors to the World Heritage Site, located in the heart of Tibet’s capital Lhasa, had surged rapidly, reported China’s official Xinhua news agency May 23. The number of visitors in 2015 was only 900,000, it said, citing the palace administration. The administration was stated to have set the limit of a maximum of 5,000 tickets per day during high season. Visitors have to reserve tickets in advance and are given a specific entrance time, the report added. The report cited Lhasa police as saying dozens of scalpers had been punished recently for reselling reservation tickets. During my schooldays Tibetan Review was the only magazine that kept me upto date with Tibetan news as happened around the globe.